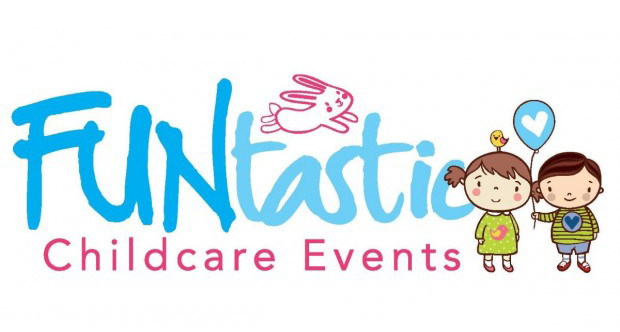 Childcare Specialists FUNtastic Childcare Events took home the award for Best Wedding Related Service of the Year at last year’s weddingsonline awards! They look after all your childcare needs on the day and come armed with personalised goody bags. They’ve lots of fun activities up their sleeve from teaching arts & crafts, fun activities like face painting and nail art and nail painting to biscuit or cupcake decorating, storytelling and singing. If you opt for a longer package, they can even organise popcorn and a movie or a treasure hunt if the weather is good and there’s a safe outdoor space! 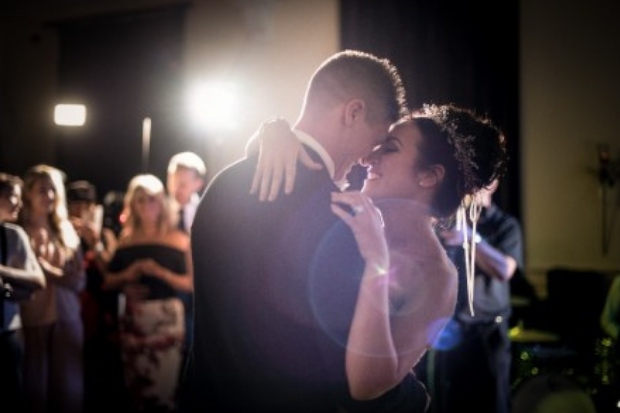 The Care Necessities is a children’s entertainment service for weddings and occasions. It was started by sisters Angelina and Tracey and came about when they struggled to find entertainment for their own weddings! 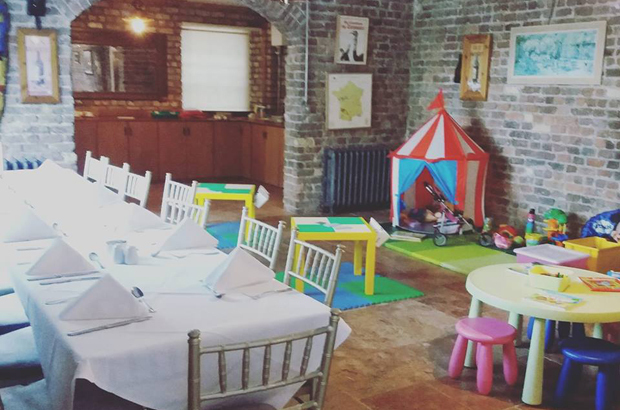 The Care Necessities come to your venue and set up a ‘pop up kids club’ in a separate room where they provide a safe and fun atmosphere for children with lots of fun activities such as face painting, games, arts and crafts and even a mini disco. The little ones can even have their dinner there if they don’t want to miss out on any fun! 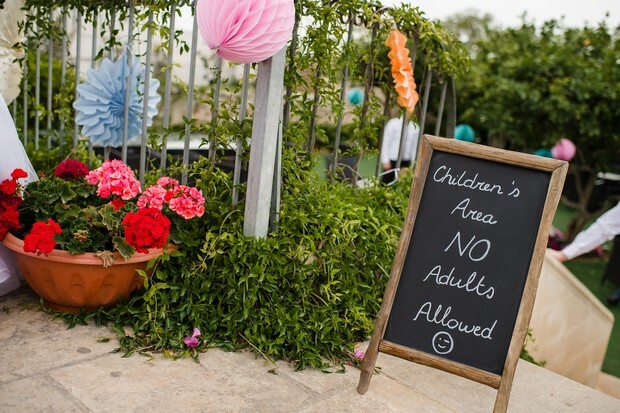 Fun ‘n Frills provide Supervised Portable Activity Areas for children at weddings. They set up in the ballroom so the kids can see you and vice versa – it’s designed to fit within any beautiful ballroom with white picket fencing, archway and lighting, creating a fun space the kids will love! Children can look forward to a range of specially selected activities and games including arts & crafts, play doh area, general toys and games, all chosen with a view to keeping noise to a minimum. They have several packages to choose from and can even help with dinner – they can arrange the orders at a kids table and supervise them while they eat. If you’re after some goodies to keep the little ones entertained, Irish company Flutter Tree have beautiful wedding inspired Flutterwood Kits that are just perfect. 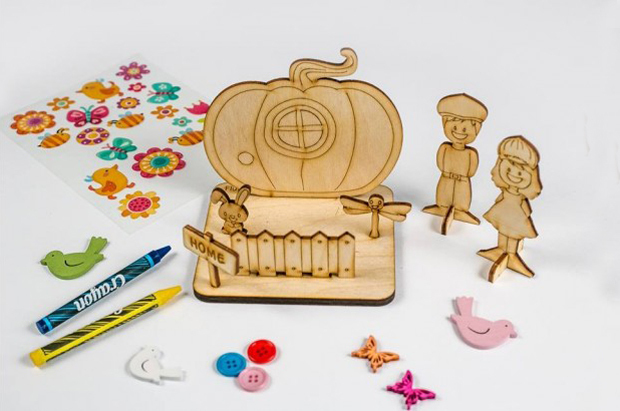 These wooden craft kits click together to form a wedding scene and come with stickers and crayons so they can be decorated too – sure to keep the kids busy during the speeches or after dinner! There are two wedding scenes or a woodland themed pack to choose from and they come in a handy drawstring bag so the kids can easily bring them home and proudly display in their bedroom. 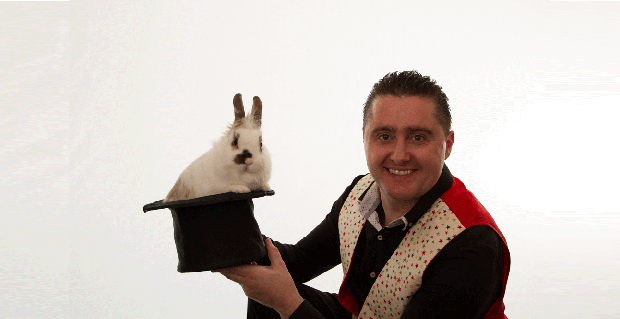 Carl Campbell (AKA Magic Carl) is a Dublin based full time Kids Magician. Carl and his magic rabbit Mr Fluffy can come to your wedding and wow any kids with a spectacular show during the speeches! His high energy, comedy magic show is suitable for children of all ages and is full of audience participation, magic, illusions and balloon madness (the kids will get to take a fun balloon model home)!